Almost 10 states, the most recent being Illinois, passed state bans on some or all types of ivory, which included the resource Alaska Native carvers use. These state restrictions were put into effect in response to the near-total federal ban on commercial trade of elephant ivory in 2016. 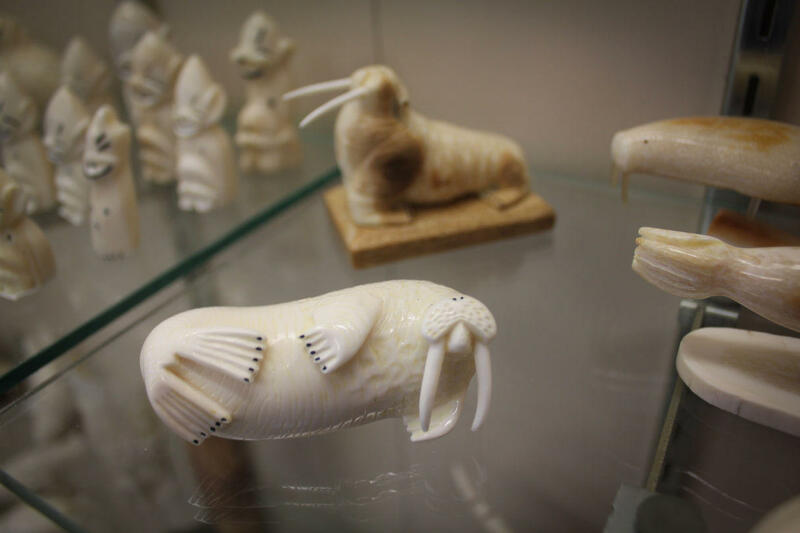 During a recent visit to St. Lawrence Island, local carvers told Metcalf that the inconsistency among state’s ivory bans has been negatively affecting their sales. The Alaska delegation hopes the legislation will end the confusion created by other states’ laws and protect Native artisans who work with ivory. Metcalf agreed that more needs to be done to protect Alaska Native ivory carvers. While these two new bills go through Congress, Metcalf and her working group will continue to spread the message that the walrus population is healthy and does not warrant listing under the Endangered Species Act. The U.S. Fish and Wildlife Service made that determination in October 2017, so now, the species will continue to be protected under the MMPA for Alaska Natives to sustainably harvest. According to the state delegation, the Secretary of the Interior is authorized to restrict the take of marine mammals if the population is dwindling, but the secretary must also have evidence to demonstrate that.